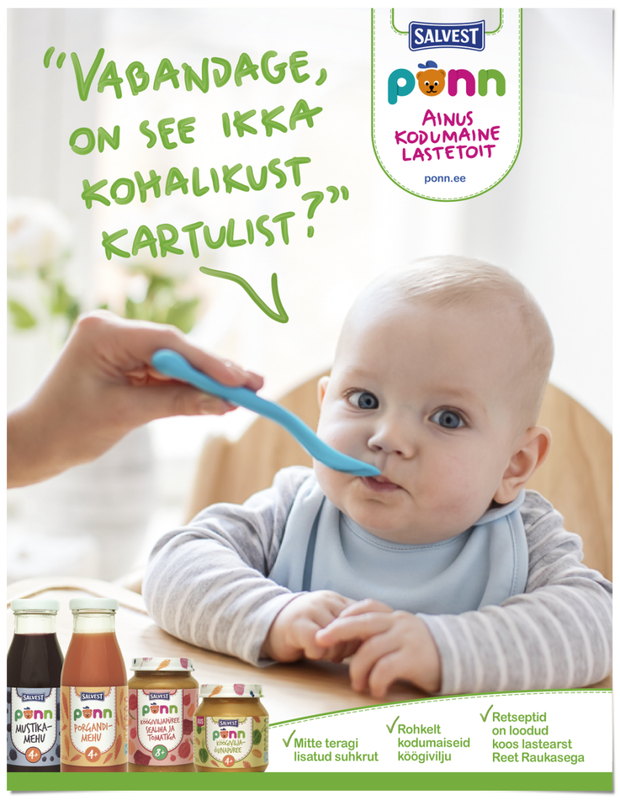 Advertising campaign for the relaunch of Salvest Põnn baby food. Põnn products are made in Estonia with as many local vegetables and meat as possible, without any added sugar. 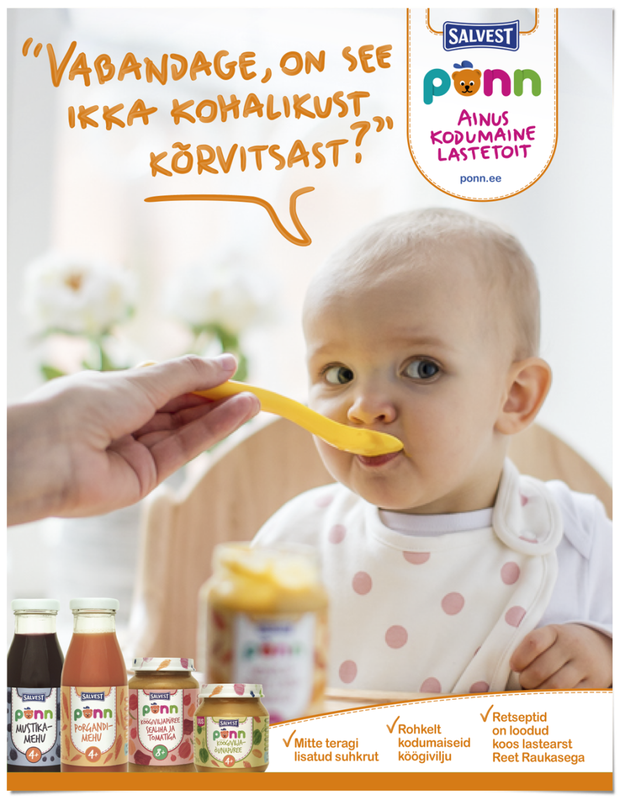 Põnn baby products were developed with known pediatrician Reet Raukas.